Most entertainment websites have created their "Best Of " stories for the end of the year utilizing a wide array of news and editorial pieces written for all films in many different genres. It's a fun exercise to show readers what took place within the current year as it comes to a close and reminds everyone of how rapid news in the movie business is reported. Since our website is specific to one film franchise, it can be challenging to find stories and news to write about in a given year, but 2014 was dominated by news on a new Friday The 13th television show, a brand new Friday The 13th film, and also NECA's continued love letter to genre fans with Jason figures! Knowing there is a lot of news we have posted and reported on in 2014, we have compiled our Top 10 Most Popular Friday The 13th Stories of the year and have listed them below starting with number ten. We hope you enjoy the list and look forward to even more Friday The 13th news in 2015! 10. Horror Inc. Returns To Produce New Friday The 13th Television Series! Franchise co-creator Sean Cunningham has been hinting at a television show for many years, but in September of 2013 he mentioned that the series was getting closer to being a reality. Well, it was made official in April of this year and fans eagerly await more news on the show. NECA has gone full blown into creating the classic Mego style for the various genre characters and the big reveal of two popular versions of Jason at the New York Toy Fair in February got our readers very excited. Most notable about the reveal was the first officially licensed release of the pseudo Jason killer Roy Burns character. 8. 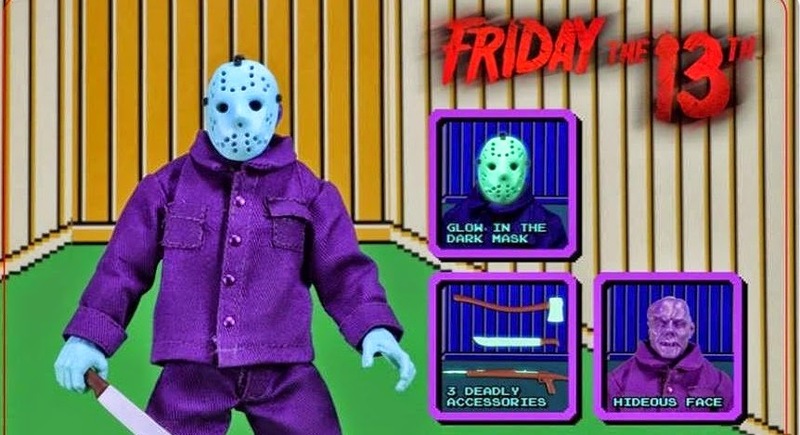 NECA Announces Nintendo 8-bit Mego Style Jason Voorhees! Neca's creative director Randy Faulk blindsided fans when he announced that this figure was already shipping to stores for sale. Without any prior announcement the figure was even being created, scores of fans flocked to their local retailer to purchase the retro game figure. 7. New Director Named In Negotiations For Friday The 13th (2015)! Not a lot of official news on the upcoming 2015 film had been written about until this little gem of info was reported by The Wrap in April. To this date, the Director is the only crew member to be officially announced working on the film. 6. AMC Fearfest 2014 Features 'Friday The 13th' Marathon! AMC ran what is becoming an annual franchise marathon once again in 2014 during their Halloween FearFest programming with our readers soaking up the schedule and basking in the retro feel of watching the films edited back to back. 5. Kane Hodder To Become Jason Voorhees One Last Time This Friday The 13th! The headline was indeed a bit misleading, but very true in that Kane is preparing to dress up as Jason Voorhees once again, but just for a convention appearance with the help of Part 7 Director John Buechler. 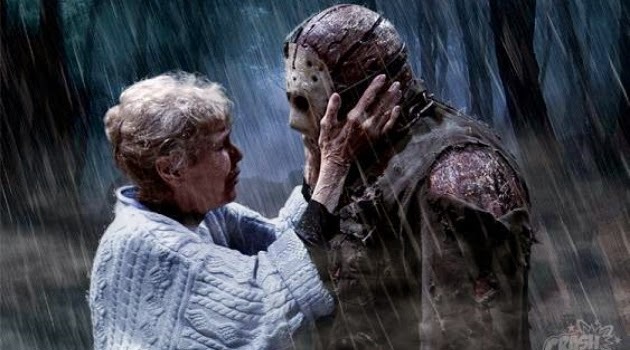 More recent news came in the month of December which hinted at a possible change in the dynamic between Mrs. Voorhees and her son Jason in the upcoming 2015 film. There were some pretty crazy rumors floating around about the possibility that Jason Voorhees may not appear in the 2015 film, which caused numerous hate filmed rants on websites and blogs. Platinum Dunes producer Brad Fuller touched upon that topic among other points of contention and eased the minds of fans temporarily. With a huge assist from mega Friday The 13th fan Billy Kirkus, our website was able to produce a large number of stills depicting the original ending of Friday The 13th Part 3. As of this moment, there has never been video discovered from the scrapped ending of the film and these images show a good amount of detail in how the ending was to turn out.